Leaf earrings with Blue Flowers. Pause and wonder at the lovely contrast of bright blue and brown in this design. 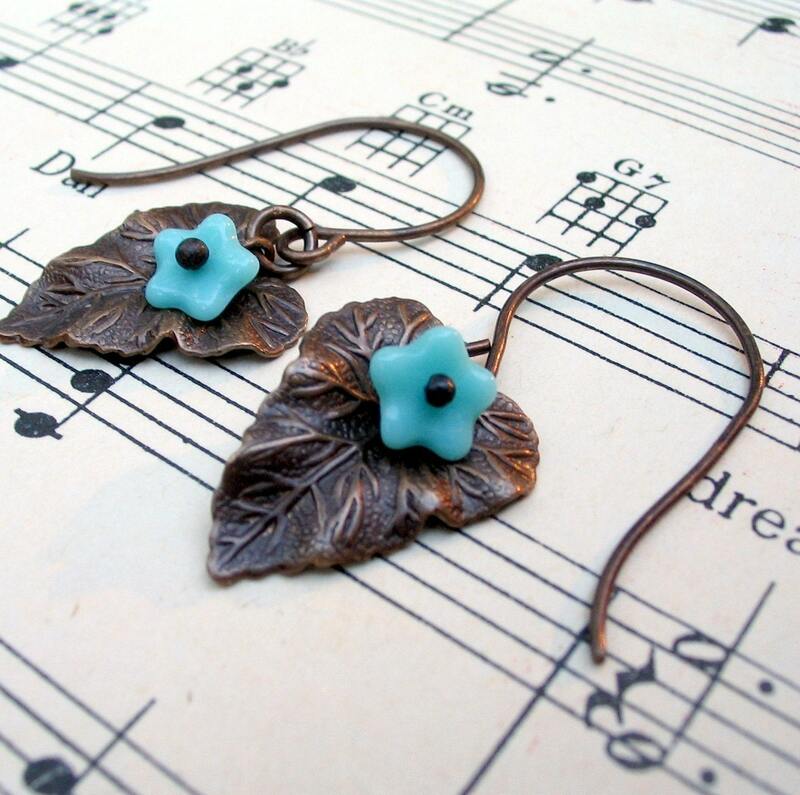 Fluttering Brass Leaves with a hint of blue flower boldness. The fishhook earrings are lightweight and just under 1.5 inches in total length. The brass is nickel free and not plated. Insurance and expedited shipping is available. Please convo me your request!